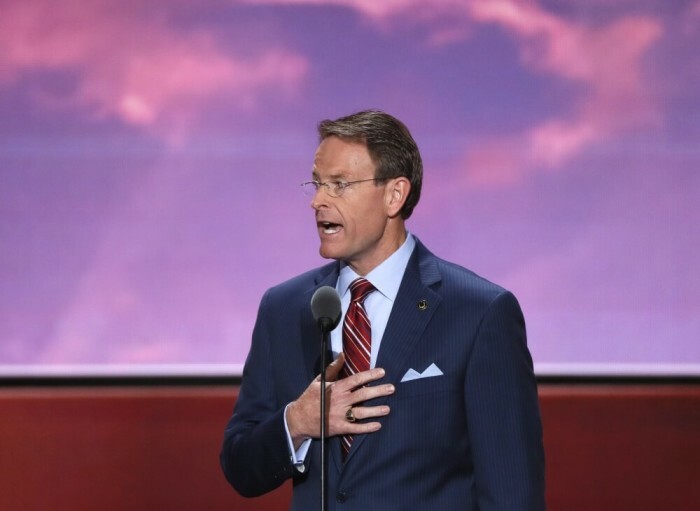 Family Research Council president and Ted Cruz supporter Tony Perkins urged all Americans to vote for Republican nominee Donald Trump during his remarks Thursday night at the Republican National Convention. Perkins, a prominent evangelical leader who headed the Pro-Lifers for Cruz Coalition, was hesitant at first to officially support Trump after the billionaire real estate mogul clinched enough delegates to become the GOP's presumptive nominee in May. 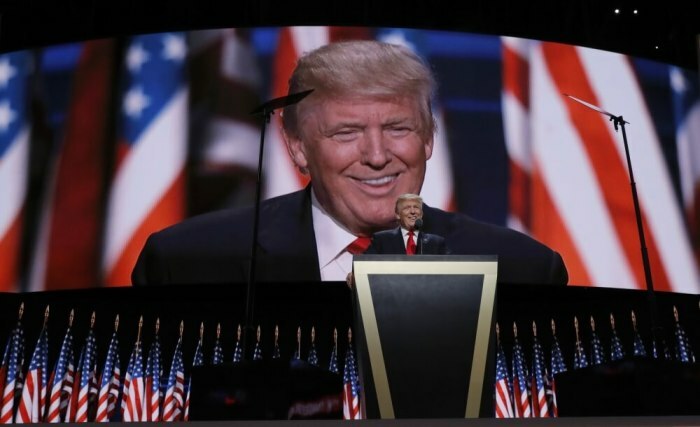 But Perkins finally gave Trump his vote of confidence in a brief, 3-minute speech just a couple hours before the Manhattan businessman took the stage at the Quicken Loans Arena to formally accept the GOP nomination. "We have gathered here in Cleveland to select the Republican nominee for president. We have accomplished that mission. Donald Trump is the nominee of the Republican Party," Perkins said. "I will be voting for Donald Trump in November, and I will urge my fellow Americans to do the same." Perkins disclosed that he was only speaking for himself and not on behalf of the organizations that he is affiliated with. Perkins' remarks come after Cruz, a Senator from Texas, refused to endorse Trump during his speech at the convention earlier this week. Additionally, Perkins remarks come after he told The Christian Post in May that he was "open" to supporting Trump if Trump was "open to working to gain the support of the evangelical community." Specifically, Perkins said that Trump could win over evangelical voters by picking a good vice presidential running mate and by vowing to appoint pro-life Supreme Court justices. Last month, Perkins attended a meeting between Trump and over 900 evangelical leaders in New York City. At a press conference following the meeting, Perkins said that Trump "moved the needle" when it comes to support from evangelical leaders and is receiving "increasing wind in his sails from the grassroots." "I kind of did my own survey of the room. ... One of the things that I've heard is 'he's not what we've seen in the media.' He's actually a likable guy. I like him. I like what I've heard," Perkins said at the press conference. "I think this is a good start. I feel much more comfortable … he gained a lot by coming here today and having this conversation." While Trump has vowed to not only appoint pro-life Supreme court justices but also protect the religious liberty of Christian conservatives, he also has named Indiana Gov. Mike Pence as his vice presidential running mate, a man that many evangelical leaders have praised as a good choice. "From his judicial nominees, to his running mate, to the party platform and the policies it promotes, Donald Trump has committed to upholding and protecting this first freedom and therefore our ability as citizens to unite our nation once again under God," Perkins concluded in the convention speech. In an interview with Fox Business last week, Perkins said that he felt the selection of Pence would ultimately help Trump in his quest to gain support of hesitant evangelicals. However, Perkins stated that Pence "caved to the pressure of big business" when controversy hit over Indiana's Religious Freedom Restoration Act that was passed last year, which proponents said would have protected the religious conscience of business owners in their decisions not to participate in gay weddings. "This is eventually going to help Donald Trump. I have to give Donald Trump credit for wanting to reach social conservatives and evangelicals, understanding how important they are," Perkins said. "There are some issues with Mike Pence. Last year, on the issue of religious liberty, he caved under the pressure of big business — big business now wanting to drive fiscal policy and social policy at the state level. But, I am hoping that maybe the courage that Donald Trump has show up against the political correct crowd will rub off on Mike." Perkins added that Pence created a "domino effect" by backpedaling on religious freedom. "Then, we saw Arkansas do the same thing under the pressure of Walmart and we have seen others," Perkins said. "Now, you have got governors like McCrory and Phil Bryant in Mississippi standing up against big business, but it is a problem and I am not going to say it is not a problem." Fellow Cruz supporter and founder of Focus on the Family James Dobson issued his formal endorsement of Trump in a statement released on Thursday. "Mr. Trump has been unwavering in his commitment to issues that are important to evangelicals such as myself. In particular, I have been heartened by his pledge to appoint conservative Supreme Court justices, preserve religious liberty, rebuild the military, and defend the sanctity of human life," Dobson explained. "On the issue of abortion, I choose not to evaluate him based on his past position but rather on what he says are his current convictions. I believe God can change the hearts and minds of people and I celebrate when they support principles of righteousness."